The Roy 1500 is the big brother to the Roy 1500. It generates in excess of 2500 watts on 240 volts. It is a general purpose induction heater that is designed to heat metals without contact. It's power output is fully adjustable. 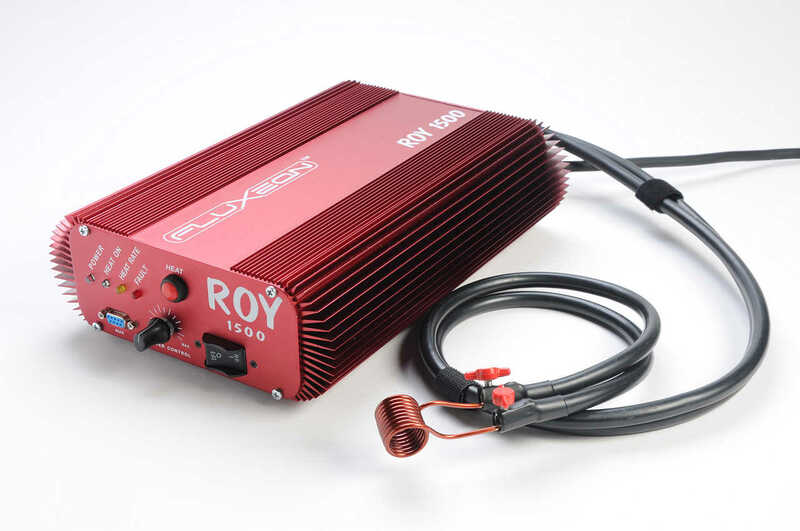 The Roy 2500 requires 240 volts to generate its rated capacity. But it is a dual-voltage machine. It can also operate on ordinary 120 volt line current. The power on 120 volt is, of course, 1500 watts. The Roy 2500 comes with a 1-year limited warranty.